I admit it. I was overtired. And kind of silly. So when one of my partners-in-crime over at TORWars.com tweeted the patch notes for the Star Wars: The Old Republic Update 1.5 on the public test server, something just hit me funny. I started tweeting back ‘revisionist’ versions that were quite sassy. He laughed. I laughed. We had fun, and I ended up turning it into a TORWars.com article. 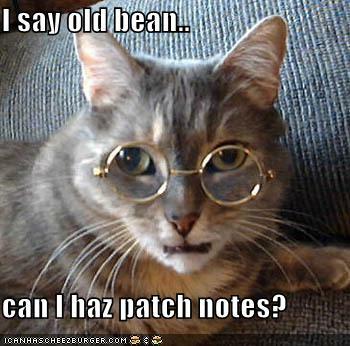 These patch notes are not meant to be catty. Here are some of the ‘updated’ patch notes. BioWare’s version is in bold, mine follows. –”Merely Semi-Scary” Guard relics are available for half off. –Monthly and Yearly vendors are still standing around doing nothing. –BioWare has also removed the neon flashing arrows that were pointed at all Force users’ butts. –Except, of course, if it’s in Gree. Hall Hood was on vacation, and so that text is still somewhat aureate aspherically convex. The Imperial Medcenter in the vicinity of the wreck of the Ambria’s Fury has been moved Northeast. –All other cardinal compass points were already reserved for cantinas. HK-51 currently joins players without gear. –And if you look anywhere in the vicinity of ‘that’ region, he will blast you, Meatbag. Want to Be A More Effective Jedi Sage Healer? Then check out my latest Consular Weekly article: “Theorycrafting for Seers“. You’ll find some awesome tips and tricks on skill builds, gear, and stats based on the number-crunching done my theorycrafting gurus. Force Armor–use it early and often to stop the need for healing in the first place! 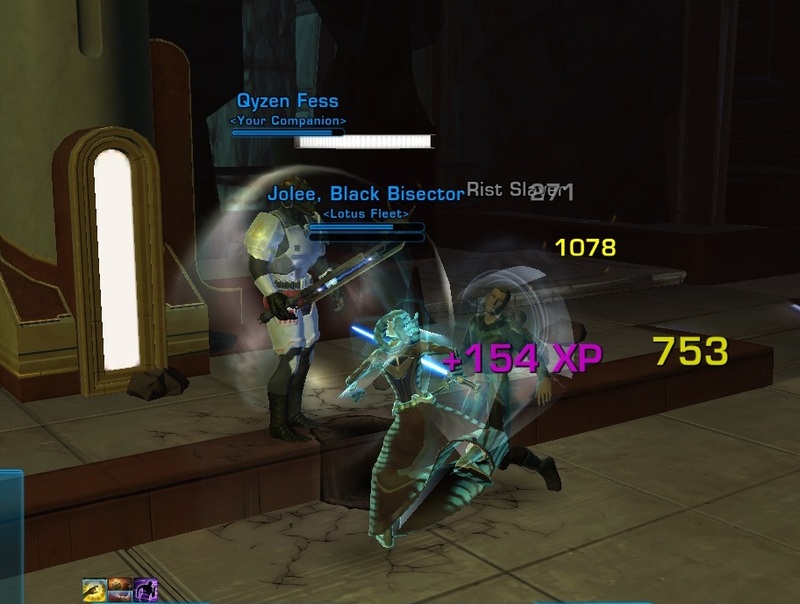 Like all Consulars, Seers want to buff up Willpower as their primary stat, Endurance next, so make sure to equip only armor that buffs those two stats.. Go grab all the Willpower and Endurance datacrons. Adding the Strength ones will benefit your lightsaber damage a little bit, but since you hopefully won’t be using that much if you’re staying out of melee range. For secondary stats, Power and Critical are important, as is Alacrity. Power improves your overall healing, Critical improves your ability to get the chance at bonus healing (very important in boss fights! ), and Alacrity speeds up our ability to cast skills. There are diminishing returns to Critical and Alacrity, however, so once you have those built up Critical to about 350 to 400 points, anything after that helps very little. The minimum you need is about 326 to get you to the important 40% threshold–that way, when you have Force Potency active, you have 100% chance for a critical heal. Since so many Seer items at level 50 boost Alacrity instead of Critical, you may hit the diminishing return point in Alacrity very quickly. Don’t be afraid to switch out enhancements to adjust your Power and Critical as needed. Surge is a distant fourth here–we won’t need surge to be above about 300, and anything above 350 is a waste of points since the diminishing returns kicks Surge in the teeth pretty hard. The theorycrafting gurus over at mmo-mechanics.com suggest that a Surge of 250-300 is more than enough. Enjoy trying out new skill rotations and builds, and have fun healing!